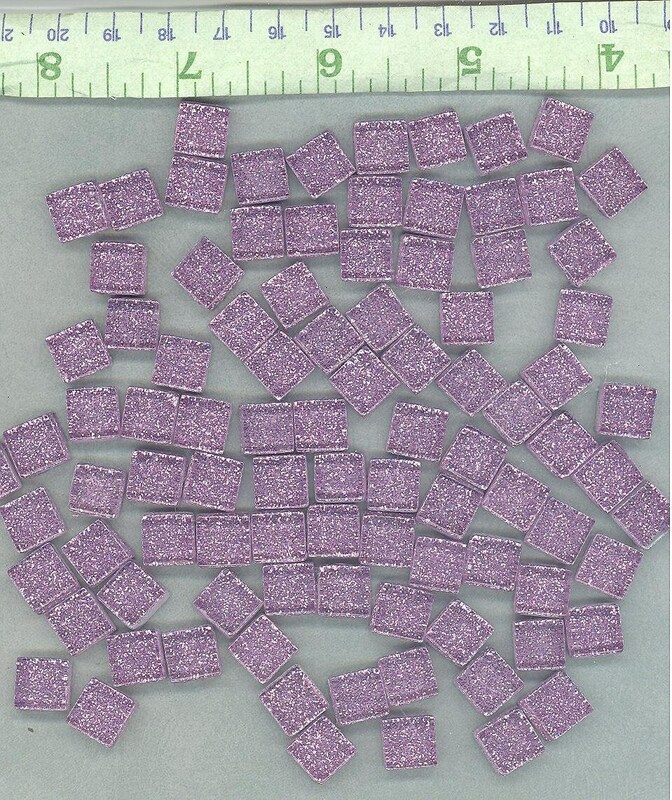 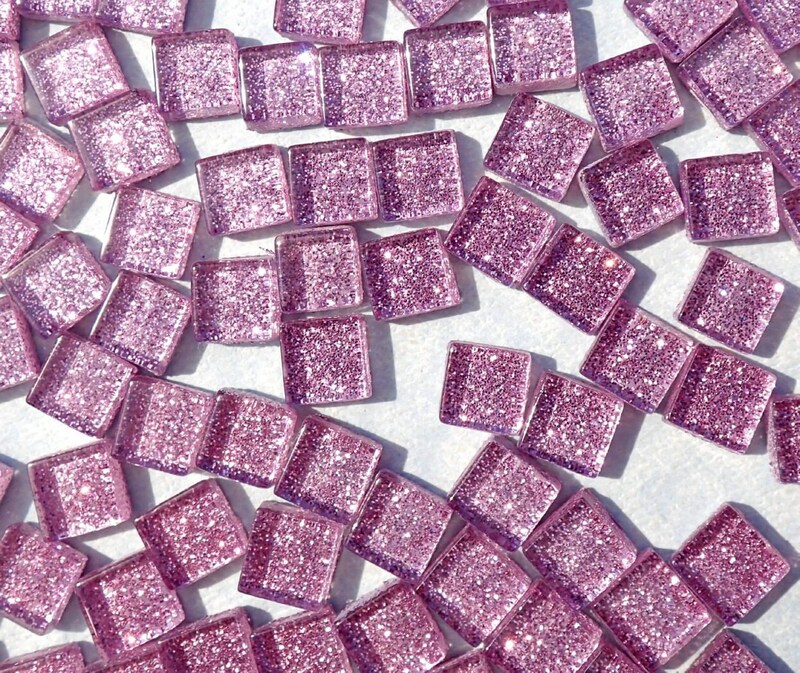 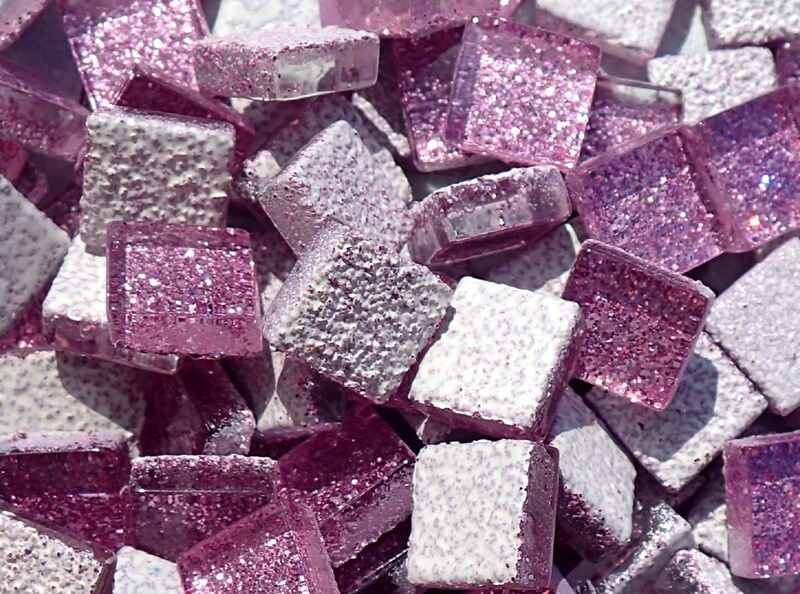 This is a set of 100 mini glass 1cm (3/8") tiles that have a glitter backing. 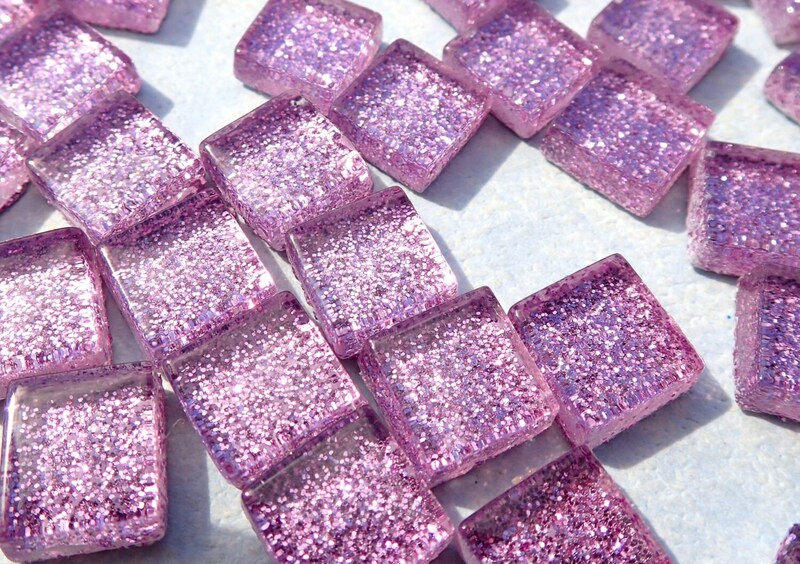 Because it is a backing, these tiles have depth to them. 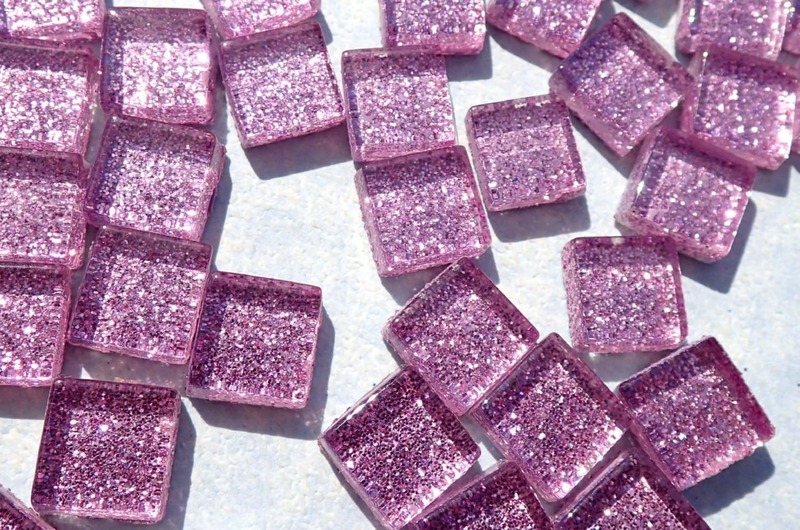 The glitter is a pale purple, or lilac.